Dubai: The UAE will carry out extra checks on Boeing’s 737 Max aircraft even after it receives the green light from Boeing to resume operations, according to the head of the country’s aviation regulator. Sultan Al Mansouri, chairman of the General Civil Aviation Authority (GCAA) and the UAE’s Minister of Economy, said that the country has determined to make sure the aircraft model will indeed be safe to operate. All 737 Max aircraft were grounded worldwide, following two fatal crashes involving the model. The GCAA banned all the operation of all 737 Max’s in the UAE in mid-March, while the Federal Aviation Administration of the US issued its own ban a few days later. Boeing later announced that it is rolling out an update to the software of the Max aircraft, in addition to providing training to all Max pilots. Speaking to reporters, Al Mansouri said the UAE is waiting for the final report on the cause of the latest crash of a Max aircraft operated by Ethiopian Air. 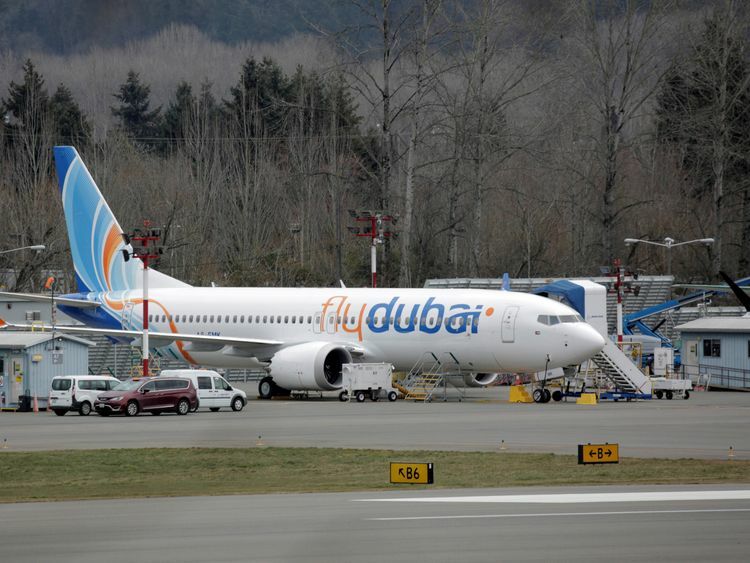 Saif Al Suwaidi, the GCAA’s director-general, made similar comments in early April, saying that the UAE will evaluate any solutions provided by Boeing and then decide whether to validate them or not before lifting the operational ban.